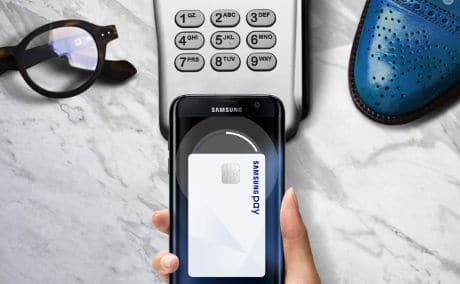 Samsung Pay has begun rolling out across China, letting consumers make mobile payments with a compatible device “virtually anywhere you can swipe or tap your card” using their China UnionPay debit and credit cards. “Samsung Pay currently supports select credit and debit cards from nine banks including China CITIC Bank, China Construction Bank, China Everbright Bank, China Guangfa Bank, China Minsheng Banking Corp, China Merchants Bank, Hua Xia Bank, Industrial and Commercial Bank of China and Ping An Bank,” Samsung says. The mobile payment service is currently available on the Samsung Galaxy S7, Galaxy S7 Edge, Galaxy S6 Edge+ and Galaxy Note 5 devices in China, with the “opportunity to support additional mid-range models in the future,” the company adds. “The reception of Samsung Pay since its launch has been extremely positive and the service has already seen tremendous success in terms of availability and adoption by consumers,” says Samsung’s Injong Rhee. Samsung Pay was launched in Korea in August 2015 and in the US in September 2015. Its planned launch in China in partnership with China UnionPay was announced in December. Samsung Pay had approximately five million users in South Korea and the US who had processed more than US$500m through the mobile payment service as of February 2016. Apple Pay also launched in China last month in partnership with China UnionPay. Facebook Messenger to add in-store payments?